Bayer Leverkusen attacking midfielder Hakan Calhanoglu has emerged as a surprise target for AC Milan ahead of the summer transfer window. 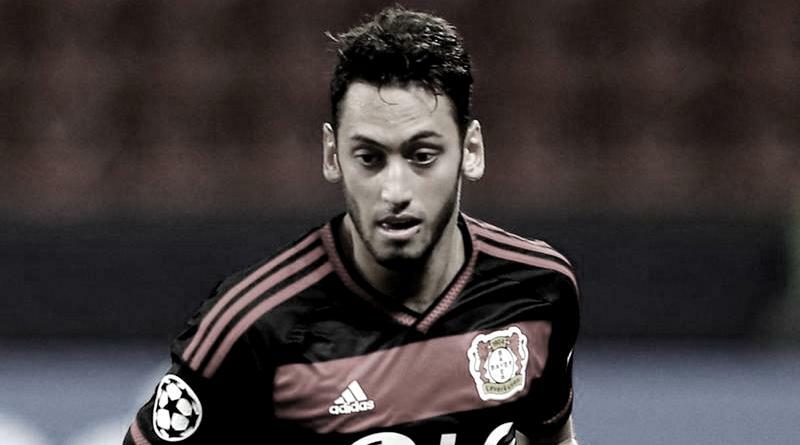 According to the football transfer rumours in Turkish Media (Turkish Football), AC Milan are set to sign Bayer Leverkusen attacking midfielder Hakan Calhanoglu. The Turkey international was signed by Bayer Leverkusen in July 2014 from Hamburger SV for a fee of 14.5 million euros. The 23-year-old has a valid contract with Bayer Leverkusen until June 2019. Since his arrival from Hamburger SV, Hakan Calhanoglu has scored 28 goals and provided 29 assists in 115 games for Bayer Leverkusen. The Turkey international has been in impressive form for Bayer Leverkusen this season. Hakan Calhanoglu has represented Turkey at Under-16, Under-17, Under-19, Under-20 and Under-21 level, winning 43 caps and scoring 8 goals, before making his senior international debut in September 2013. As a member of Turkey national football team, Calhanoglu has won 26 caps and has scored 8 goals. Vincenzo Montella will reportedly be handed a huge transfer kitty this summer and the Bayer Leverkusen attacking midfielder is thought to be among the manager’s priorities. AC Milan are in the market for just a handful of statement signings this summer who can improve the first-team. The Turkey international will definitely be a good addition to the AC Milan side. According to the report in Turkish Media, Calhanoglu is expected to undergo a medical with Milan tomorrow after agreeing personal terms with Italian giants. Bayer Leverkusen representatives are looking for a fee in the region of 25 million euros, while Milan representatives are currently offering 21 million euros plus bonuses, but a deal is expected to be struck by Monday.